The Packers likely would have been slight favorites to defeat the Vikings at Lambeau Field on Saturday if Rodgers was playing. Las Vegas can give us a more tangible measure of just what Rodgers means to Green Bay by illustrating the difference in betting lines with and without the star QB in the lineup. The answer is still “a lot,” but we can assign a point value to Rodgers. That means the Packers would still have been slight favorites to defeat the Vikings at Lambeau Field if Rodgers hadn’t been placed on injured reserve after Green Bay was eliminated from playoff contention. As it is, Green Bay is currently listed as a 9-point underdog with Brett Hundley as a starter. Not only is that a pretty big number for a home team. Thanks to Twitter follower Tim Snell, we have some historical data showing just how rare this is. From 1986-1992, the Vikings were favored at Green Bay in six out of seven games. And on Dec. 11, 1988, the spread was 10.5 points in favor of the Vikings — the most the Vikings have been favored by at Lambeau Field in the last three decades. Green Bay won that game 18-6. The last time the Vikings were favored at Lambeau Field was 2000, when Minnesota was favored by 3.5 points. The Vikings lost 26-20. Overall, Minnesota is 3-4 at Lambeau Field in games when it was favored to win since 1986. Green Bay, by the way, has been favored at Minnesota 14 times in the same span and is 7-7 in those games. Being a favorite on the road guarantees nothing. 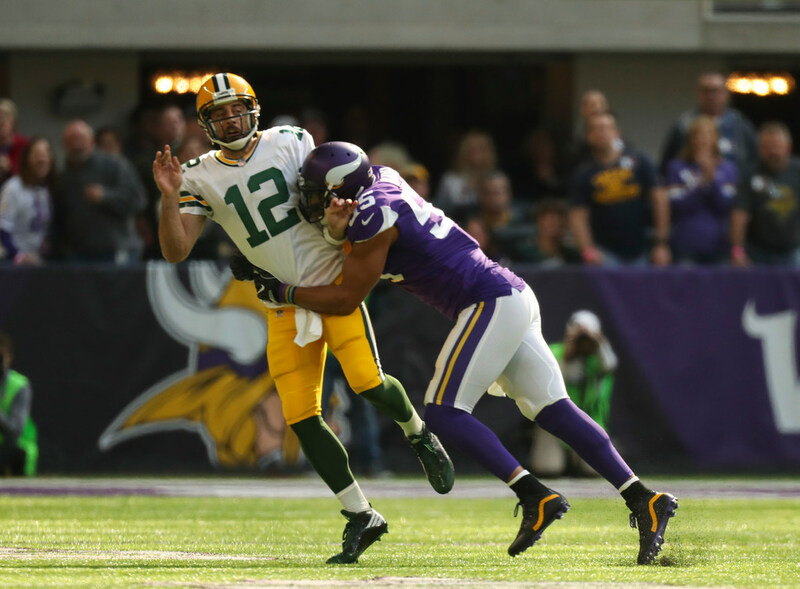 Still, facing Hundley instead of Rodgers is a huge gift for the Vikings. Also, note this anomaly: The Packers were favored by 3 points when they played at Minnesota earlier this season — a game the Vikings won, with Rodgers getting injured early on. And now the Vikings are favored at Green Bay. The only other time both teams were road favorites in the same season was 1987. Green Bay played the Vikings in Minnesota in a game using replacement players during the strike year. The Packers were favored and won. Later in the year, with the regular rosters intact, the Vikings were favored in Green Bay. The Vikings lost.